I've always wanted to try this Contour Kit but it's always out of stock at Sephora. I knew it was available on Anastasia Beverly Hills website but I was hesitant because of their shipping costs to Canada and possibly custom duties. However, I got tempted to get it and ended up ordering from there (I didn't pay duties. Yay!) 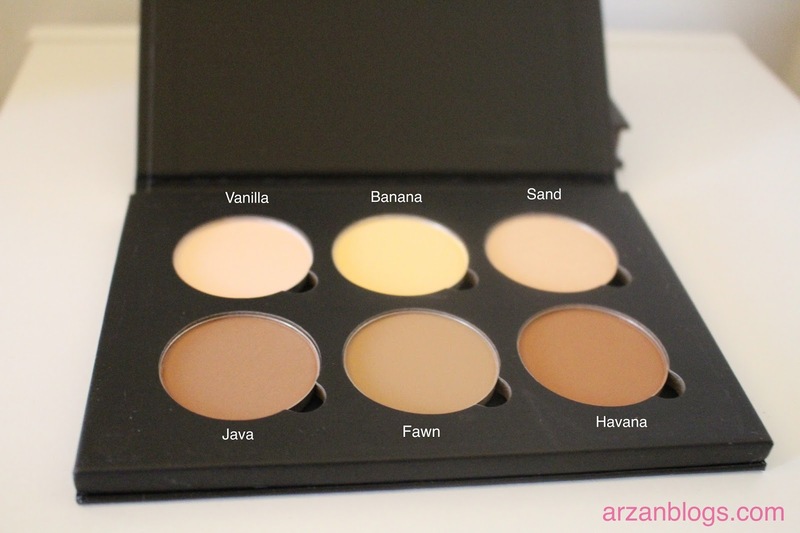 I also wanted the Tamanna palette, so I ended up ordering that with it (click here for blog post on it). It comes with 6 shades (0.11 oz each). 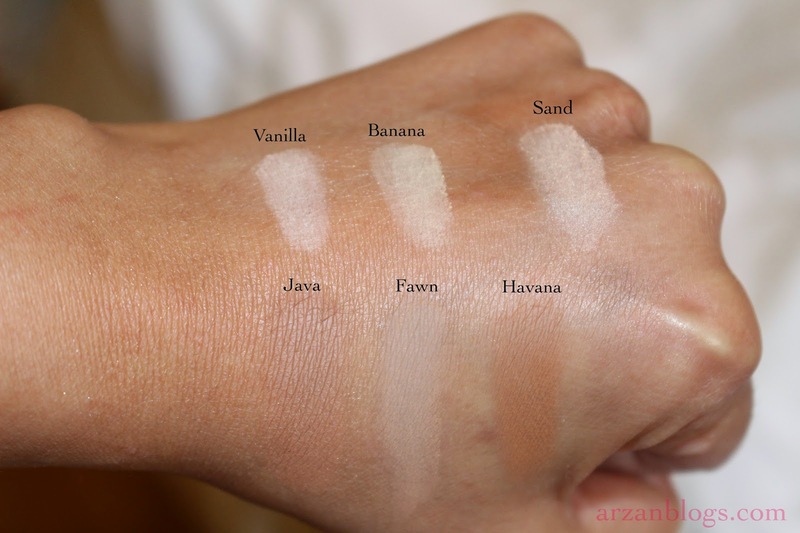 Three of them are for highlight (Vanilla, Banana, Sand), while the other three are contour shades (Java, Fawn and Havana). All of the shades are matte with the exception of Sand, which has a shimmer to it. They also sell each of the shades separately along with 21 other shades. I love that because if you finish some shades faster, you won't have to buy the whole kit. 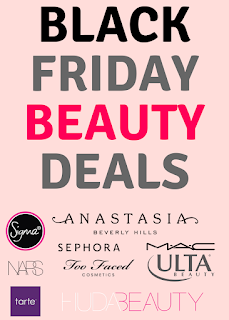 Click here to check out their Contour Refill shades. This is a great palette! Now I know why so many people rave about it. 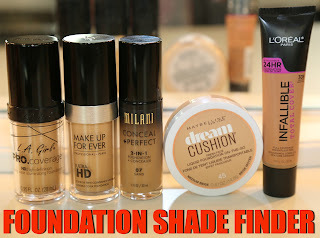 I find it's great for almost all skin tones and people who are new to contour/highlight can also make use of this. Everything you need to contour/highlight is in this. Easy to contour: I've been contouring for awhile now but I found it much easier to do so with this kit. I applied it with my Real techniques contour brush and I feel like I didn't have to build up the intensity that I wanted. Mostly matte: Almost all shades except Sand are matte, which I love! They look more natural. Travel Friendly: It's not that big, so it's very easy to carry. You have everything you need in one kit, so you don't need to pack several products (bronzer, highlighter, setting powder, etc). Size: It was much smaller than I had imagined. It looks bigger in pictures. For the price, I was expecting a little more. I LOVE this palette! One of the Sephora beauty advisor said this palette isn't worth buying if you're not a makeup artist. I disagree! I find anyone who's interested in contour/highlight can make great use of this palette. Also, if you're new to it and would like to invest into a kit, then this is great! 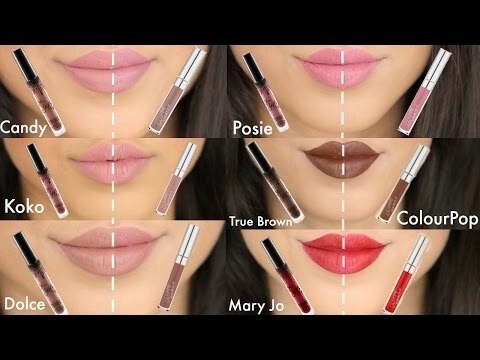 I'm not sure if this will suit all skin tones, so I'd suggest looking up for a YouTube beauty guru review of this kit who has similar skin tone as you to get an idea. That's what I did.